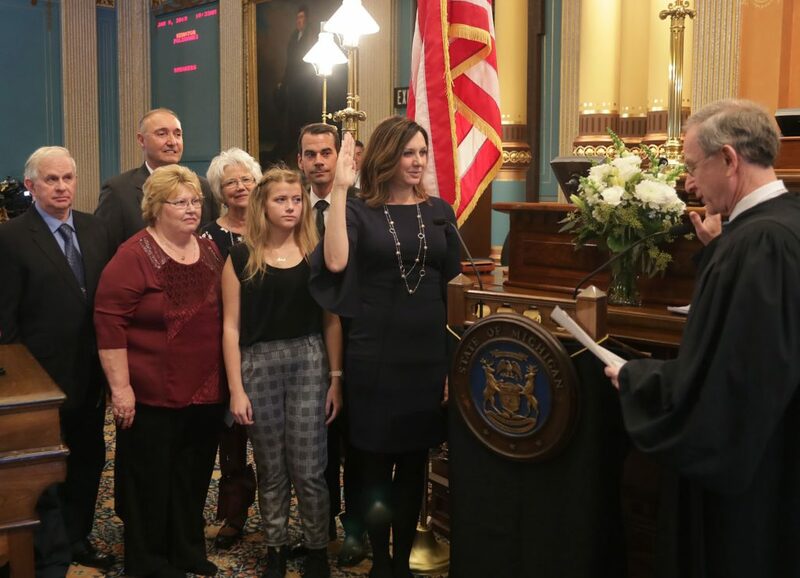 LANSING, Mich. — Sen. Dayna Polehanki (D–Livonia) took the oath of office today to represent the citizens of Michigan’s 7th Senate District. “I will be a voice for every family in Western Wayne County. I’m ready to fight for access to affordable prescription drugs and health care, solutions to fix our roads and a world-class education for our students,” Sen. Polehanki said. Sen. Polehanki named Livonia resident Dan Centers as chief of staff and Aarica Smith as legislative director. The 7th Senate District includes the cities of Livonia, Northville, Plymouth and Wayne, and the townships of Canton, Northville and Plymouth in Wayne County.